Let’s skip all the waffling, posturing, and avoiding when it comes to looking in the mirror. Compared to the vast infiltration, bombing and killing that the US, UK, and NATO have done just in recent years in Afghanistan, Iraq, Yemen, Libya, Serbia — and by proxie in Syria, Lebanon, Egypt, Palestine — what Russia is doing in Crimea is very peaceful and under all the circumstances quite reasonable. 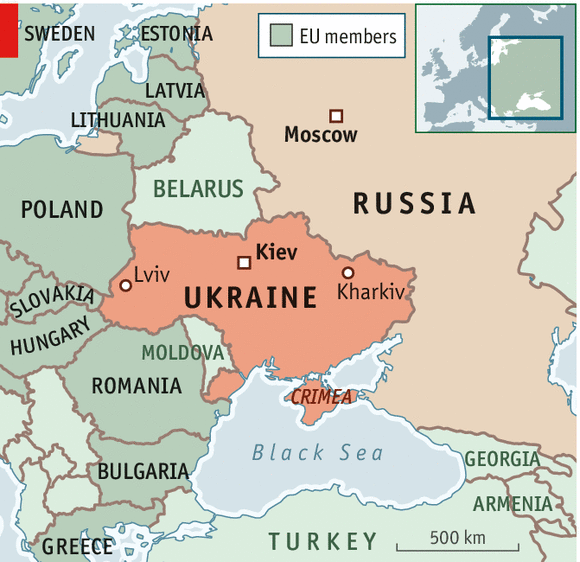 The American Neocons have had their sites on taking over Ukraine for years. They have spend huge sums via their NGOs and contractors and then when unsuccessful unleashed their thugs, neo-Nazis, and snipers. The unelected coup-appointed leaders of Kiev were immediately legitimized and paraded before the cameras at the White House and UN. But now when the people of Crimea very openly and overwhelmingly express their will the Americans and EU have nothing but awkward and sloganeering contempt and condemnation. Gross hypocrisy and double-standards are, as the saying goes, coming home to roost these days especially for the Americans and Brits.